i'm just curious, how much does each neocaridina shrimp cost in your country? i'm in Indonesia, and they are really cheap, i bought 30 red cherry shrimp for about 1 dolar ( 15000 Rupiah ).. 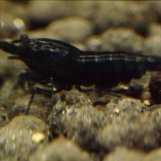 In Australia, Neocaridina cost somewhere between $0.01 AUD each and $15.00 AUD each depending on rarity and grade. I would increase the $15 maximum if you are talking about colours other than red. I have paid $40ea for blue dreams neos not that long ago. I live in the US, and the best price I could price I found was for 40 Fire Red was $100 including shipping costs. While the initial cost of $2.50 each seemed low, but half of them died within the first week despite perfect water and tank conditions. I have discovered since, that these shrimp had been imported to California from Taiwan, before being shipped 2500 miles overnight to me. My final cost for the 20 that survived came out to $5 each, which is about what I have read that others pay in fish stores in the US. Rare colored varieties can be more and poorly colored Reds can be less. An individual near me was selling pale Reds for $1 each, but I wanted darker colored ones. I could not find any retail stores that stocked them with 60 miles of me, so I ordered mine using the Internet. are blue dreams same with blue pearl? i can buy 3 blue pearl shrimp for 1$ here..
i'm sorry for your loss..
so you paid 5$ for one high grade cherry shrimp? it's still seems very expensive to me..
compared with the prices in my country..
Down in South Africa prices start at just over 1 US$ for red cherry to about 10 US$ for rilli. Selection is not that big at the moment and the people that have is still building up their breeding stock before selling them. wow, there is a big difference between Cherry and Rilli.. I think it is more a over supply of cherries. I live in a wonderfull country where it is legal to keep shrimp but illegal to import them. So basicly all the shrimp we have have here was basicly smuggeld into the country. I think it all depends on how new and how stable the genetics are (eg blue body orange rili is still extremely uncommon in australia and noone has yet achieved a clearly defined rili pattern of this variety; by way of contrast the blue gene red rilis have been worked on for years and are fairly stable). If someone were to magically start selling quality blue body orange rilis here I expect they might go for well in excess $100 per unsexed juvenile. Blue body red rilis however can be had for $5-10each I suppose depending on the quality, who the seller is and also where the purchase is made and other factors etc etc. are there any native dwarf shrimp in africa?? even the blue gene red rilli havent yet showed up in my country, i think..
on the other hand, does anyone here having trouble to upload a picture? To get past customs is not that hard for some people. Stuff get imported here under different names, not black listed, and customs don't have the knowledge to know the differance. Or when they do pick it up the importer blames his supplier and he gets away with it or fined, a small fine. We have some native shrimp here but are illigal to have. You will get into way bigger problems if you have native shrimp compared to imported shrimp. so it's legal to have some shrimp, but it's illegal to import them, and also illegal to keep the native shrimp? 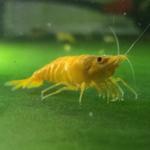 is the native shrimp an endangered species? The native shrimp are, just like all native fish/birds/animals, protected and you require a huge amount of paperwork and money to even be concidered to keep them. Yes our system is completely confusing, how can you keep something if you can't bring it into the country in the first place. There is a guy currently doing impact studies etc to get them removed from the import black list. Keeping our fingers crossed. Australian situation is similar. Once something is here people by and large get away with keeping them despite them being banned from importation. However the consequences for getting caught bringing banned species in are huge. This poor girl was bringing in shrimp for her boyfriend apparently and was sentenced to 15 months jail. Suspended mostly so 3 months to be served in jail followed by good behaviour bond. that's sounds like a lot of work just to be permitted to keep a native animal..
i hope you guys will get a good news from the "guy"..
did she really just brought the shrimp for her boyfriend? Not to sell it like the news said? nice to find any Indonesian here..
hehe iyaa... dari jakarta jg bro? atau indonesia mana? pelihara udanga apa aja bro? sama nubi juga bro, cuma belum berani pelihara redbee, parameternya rada ribet..
We all have to start somewhere. I was a newb once as well. ? cuma belum berani pelihara redbee, parameternya rada ribet.. It's not that difficult really, if you have the right tools. A good substrate, a pH pen, and a TDS meter. And SKFA forum members of course. We can help. We all have to start somewhere. I was a newb once as well. wow @jayc, so you understand Indonesian? where are you from?? ? that's the problem, i have a TDS meter, and PH meter is on the way, but a good substrate is a "bit" expensive here, out of my (wife) tolerated price.. ? oh, and i also having problem uploading some pics, is there any problem? Yes, I studied Indonesian in High School up until my final year, year12. I still understand it if I see it written and if someone spoke it slowly. But the slang terms like "nubi" can get me confused. Likely they sound like the english word, so I guessed it was "newbie". yeah, substrate can be expensive. I have only been keeping Neocaridinas for about two months now, I have 10 blue dream neos in one tank, and 12 orange neos in a separate tank. The tank with the 10 blue dream neos has been slightly problematic though because it's a smaller tank and waste builds up a little faster. Green Neocaridina under the microscope... surprise!! Green shrimp I looked at one of my green Neocaridina under the microscope, and I'm trying to determine if all green shrimp are like this... or just mine. Any insight from other green or jade shrimp keepers? See the hatchling right below mom in photo! Hikari Crab Cuisine - OK for neocaridina shrimp? I picked up a packet of Hikari Crab Cuisine at the LFS and then noticed it contains copper sulfate. I was thinking of feeding some to my neocaridina davidi var. orange until I noticed the copper sulfate in the ingredients. Plus, I realize now Hikari also makes shrimp cuisine but I believe it also contains copper sulfate. The only thing the shrimpettes have ever been fed is biofilm and Marineland Color Enhancing Flakes which supposedly does not contain copper according to the company. Am I taking chances feeding the Hikari Crab Cuisine to them? Or, is this the type of copper that is actually good for them in small amounts? Do you have a TDS meter and know if the 2 tanks are the same, the older larger one may have crept up over the years? Simon ps Power outage here for a few hours today so I haven't ignored you if you don't hear for a while.